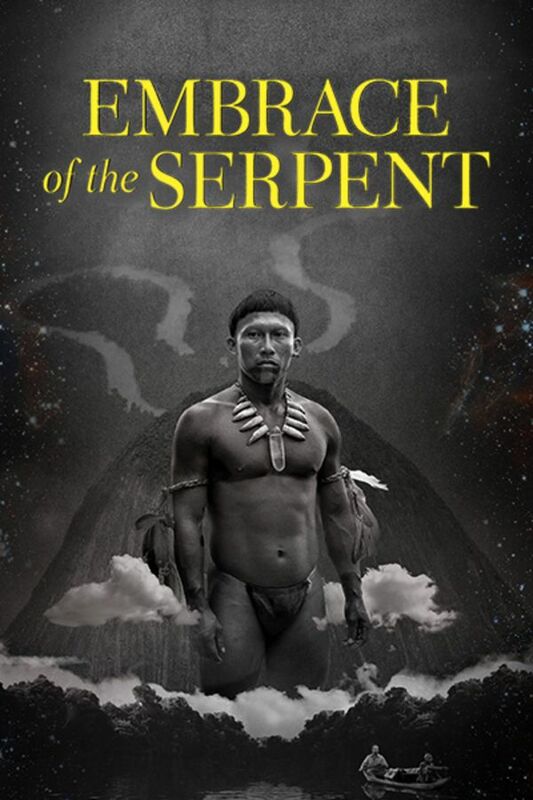 Tracking two parallel odysseys through the Amazon, this historical epic from the fiercely talented Colombian filmmaker Ciro Guerra offers ethno-botanical adventure, mysticism, and a heart-rending depiction of colonialism laying waste to indigenous culture. In 1909, a canoe bearing ailing German explorer Theo arrives at river’s edge, where the young shaman Karamakate, ostensibly the last member of a decimated tribe, waits warily. Theodor is searching for a rare flower that he believes could cure him of his fatal illness. Karamakate agrees to help only after Theodor promises to lead him to other surviving members of his tribe. Their journey takes them through rivers and jungles ravaged by European interference. Meanwhile, in a parallel narrative set in the same region in 1940, American explorer Evan conducts his own search for the elusive flower in the company of an older Karamakate in a landscape brutalized by the rubber trade. beautiful, interesting exploration, potentially racist. latin america, as the "magical indian" tribesman and other characters would know, was colonized by portuguese and spanish. the hatred expressed towards the german characters was artificially connected to colonialization, seemed to express racist sentiment. A brilliant film. Stunning cinematography.. the acting exceptional. The traditional morals in celebrating and protecting Mother Earth have been brought to the forefront in this thought provoking piece of art. I loved this. An exceptional piece of work.